Chicken Marsala is a well known Italian dish. But, did you know that Marsala is also a fine drinking wine? Marsala is a fortified wine that originated in the town of Marsala on the west coast of Sicily. True Marsala still only comes from Sicily and is produced from Sicilian indigenous grapes. Secco - Dry (little to no residual sugar). This wine completes fermentation before it is fortified. Semisecco - Semi sweet. 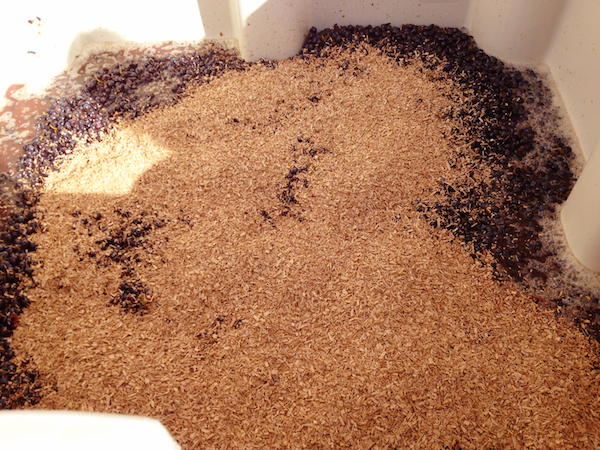 This wine is fortified near the end of fermentation so as to leave a small amount of residual sugar. Dolce - Sweet. This wine is fortified during fermentation. The higher level of the fortifying alcohol kills the yeast before fermentation is complete, hence sugar remains in the wine. Flavors of Ruby Marsala include cherry, dried fruit, honey, walnut and licorice. High-end Marsala wines are produced by a system called 'Soleras' where new and old wines are blended. This will be the subject of a future posting. A glass of Marsala wine should be served at approximately 55 degrees F and is wonderful when paired with Parmesan, Gorgonzola, Roquefort and other bold cheese. And because it’s fortified, it doesn’t need to be kept in a refrigerator. Just store it in a cool, dark place and it will retain its flavor for a very long time. So, don’t drink the cooking wine. Save it for great sauce reductions. But do seek out a nicer bottle and enjoy! Cheers! This was an interesting find. I love Paso Robles and the wines that are produced there. But, I wasn’t previously familiar with this one. The Clayhouse estate Red Cedar Vineyard is located on the east side of Paso Robles within two of the sub-AVAs: San Juan Creek and Paso Robles Estrella District. This blend is from winemaker Blake Kuhn who got his start at UC Santa Barbara with degrees in biology and environmental sciences. He later attended UC Davis to further his wine education. Blake has done well with this Adobe Red. It’s 39% Petite Sirah, 34% Zinfandel, 12% Cabernet Sauvignon, 10% Syrah, 3% Tempranillo and 2% Malbec. 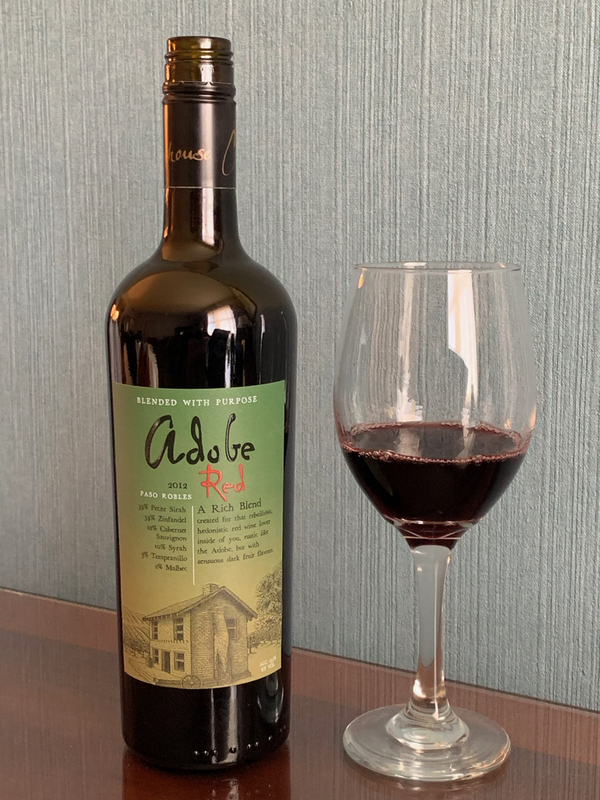 It has nice black fruit flavors of cherry and blackberry with a bit of jammy flavor, some nice oak additions of vanilla and cocoa and finishes very smooth. This is a very tasty red blend at a great price. Cheers! Ever Wonder About the 'Legs' You See in a Wine Glass? It’s a real phenomenon, that involves some chemistry and physics, but I won’t bore you with the details. The simple explanation of the ‘legs’ in a wine glass is that it’s all about the alcohol. If you really want the technical details on this effect, look up the Marangoni effect. So, yes, a great wine can exhibit great legs inside a wine glass. But the truth is that any wine can do that. Cheers! This 100% Chardonnay comes from The Hess Collection of wines from the Russian River Valley. Hess Family wines was founded by Donald Hess in 1978. Today, Tim Persson (Donald’s son in law) and his wife Sabrina are owners of Hess Family Wine Estates and are the fifth generation of the Hess family to lead the company. Panthera is part of a new collection of wines that are not Hess branded. But it certainly represents the tradition and heritage of Hess wines. 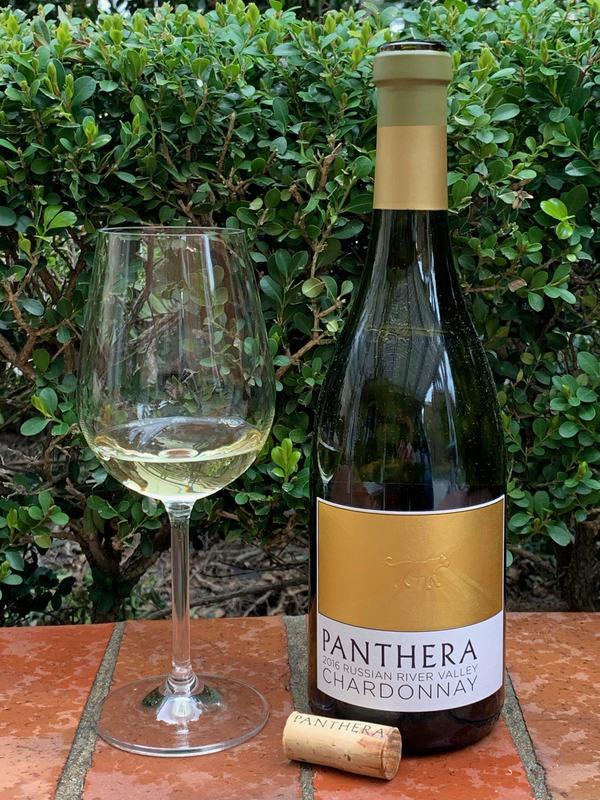 This Panthera Chardonnay has a great balance of pear, peach and hints of pineapple along with some acidity and is rounded out with light oak. The oak comes from 15 months of aging in 35% new French oak. According to the notes, “The word Panthera is believed to be of East Asian origin, meaning ‘the yellowish animal’ or golden-yellow.” This coloring in indeed striking in this inaugural vintage of Panthera. This Panthera should please any Chardonnay drinker. Look for it! Ever Wonder -- Can Oak Flavor in Wine Come from Powder, Chips and Staves? Oak has been used as an aging vessel for wines for centuries. Wines get added flavors and complexity from being aged in oak barrels, especially new oak. But oak barrels are expensive. And they only impart flavor to wines during their first two to three uses. 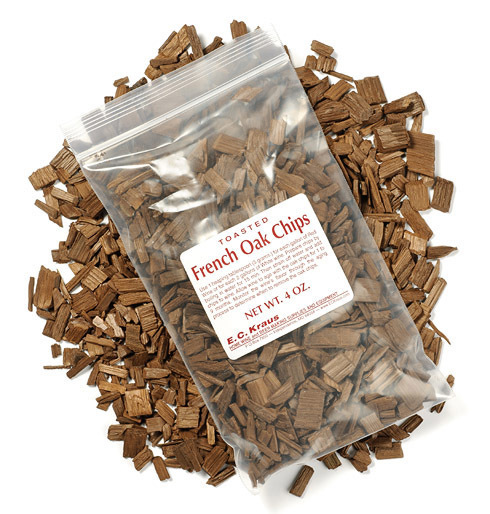 So, to get the oak flavors without all the cost, some wines are made with oak chips, oak staves and even oak powder. Using these oak barrel alternatives allows wine makers to use less expensive containers (e.g., Stainless Steel tanks) and still get the desired oak flavors. After the wine has the necessary time in contact with the chips, staves or powder, they are physically removed or filtered out and consumers never know the difference. This may seem ‘wrong’ to many wine purists, but it is allowing winemakers to produce oak flavors in their wines at considerably lower costs. And, studies have been done that show consumers can’t tell the difference. But, since wine labels don’t tell us the difference, I wonder if we’d change our opinions of wines that are produced with these oak alternatives instead of the traditional oak barrels?